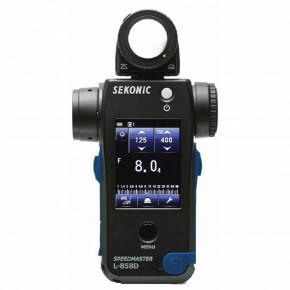 Power Source : Simple and convenient AA batteries, The new Sekonic L-308S FLASHMATE offers an affordable, lightweight meter with the latest component technology and precise calibration for accurate digital exposures. It features a choice of Full, 1/2 or 1/3 step selectable aperture settings. 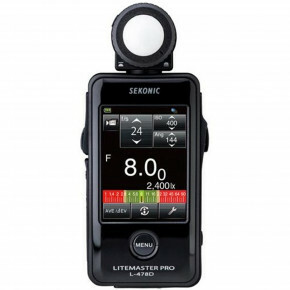 It measures ambient or flash exposure either by incident or reflective metering modes. 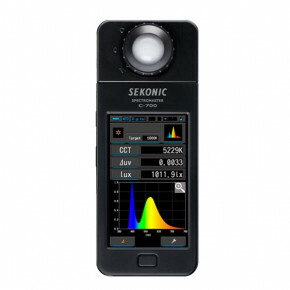 And a built-in Lumisphere provides a quick switch from incident to reflected light measurements and a Lumidisc (included) offers precise contrast and brightness measurements. The LCD panel has also been improved for better readability. 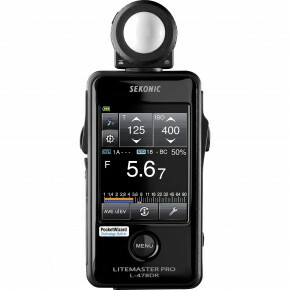 Information such as ISO, measuring modes and selected settings has been redesigned similar to the very popular Sekonic L-358 FLASHMASTER.